The family of David Bowie have released a statement on his website thanking fans for their support following his death of apparent liver cancer on Sunday. The family of David Bowie is currently making arrangements for a private ceremony celebrating the memory of their beloved husband, father and friend. They ask once again that their privacy be respected at this most sensitive of times. We are overwhelmed by and grateful for the love and support shown throughout the world. However, it is important to note that while the concerts and tributes planned for the coming weeks are all welcome, none are official memorials organized or endorsed by the family. Just as each and every one of us found something unique in David's music, we welcome everyone’s celebration of his life as they see fit. In the days after his death, his posthumously setting records. Billboard reported that he will have the No. 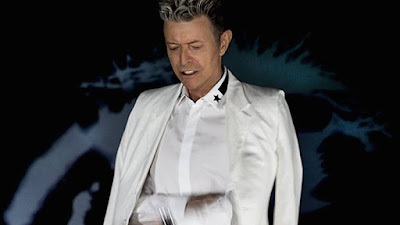 1 on the Billboard 200 this week with his latest, Blackstar, which was released last Friday on his 69th birthday. It will be Bowie's first No.1 album ever on the Billboard chart. Also, Bowie's video for "Lazarus" broke a Vevo record that was held by Adele for most video views in day with 11.1 million views. One of the Thin White Duke's closest friends and colleagues, Iggy Pop, shared an emotional eulogy to the late singer in The New York Times. Pop said: "The friendship was basically that this guy salvaged me from certain professional and maybe personal annihilation — simple as that. A lot of people were curious about me, but only he was the one who had enough truly in common with me, and who actually really liked what I did and could get on board with it, and who also had decent enough intentions to help me out. He did a good thing." "He resurrected me. He was more of a benefactor than a friend in a way most people think of friendship. He went a bit out of his way to bestow some good karma on me," Pop added. "I learned things that I still use today. I met the Beatles and the Stones, and this one and that one, and this actress and this actor and all these powerful people through him. And I watched. And every once in a while, now at least, I’m a little less rustic when I have to deal with those people." According to longtime Bowie producer Tony Visconti, the "Changes" singer was planning on releasing new music, even though Blackstar would be his "farewell gift" to fans. He also talked about how his friend told him he had the disease, saying: "He just came fresh from a chemo session, and he had no eyebrows, and he had no hair on his head, and there was no way he could keep it a secret from the band. But he told me privately, and I really got choked up when we sat face to face talking about it.” Although the chemo initially seemed successful and Bowie went into remission in the middle of 2015, the cancer suddenly returned in November, and he knew that it was terminal." This weekend, if you happen to find yourself in The Big Easy - New Orleans, Arcade Fire and Preservation Hall Jazz Band will be holding a parade in the city to honor the life and legacy of Bowie. Saturday 4 pm at the preservation hall in New Orleans. Feel free to dress up crazy, I'm sure you will!